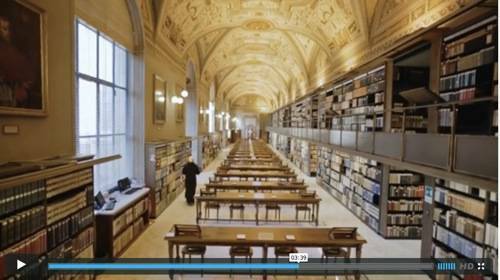 The Vatican Library is losing its walls. Its 89,000 historic manuscripts are being made available online for access by scholars world-wide courtesy of EMC. The library, properly known as the Vatican Apostolic Library, is located in the Vatican City and is one of the oldest libraries in the world, established formally in 1475 but thought to have functioned for a long time before that. The library's function is to be a resource for scholars researching history, law, philosophy, science and theology. It stores some 89,000 manuscripts, including 8,900 incunabula, manuscripts printed before 1501 in Europe. The Vatican collection of these is the fourth largest in the world. It also holds some 5,000 Greek manuscripts, with authors such Homer, Sophocles, Plato, and Hippocrates, and which include New Testament manuscripts. Many of these Greek documents are decorated with Byzantine miniatures. Its most famous book is possibly the Codex Vaticanus Graecus 1209, the earliest almost complete bible which dates from the 4th century. A great many manuscripts in the library have not been formally catalogued and so much remains to be discovered, such as, possibly, unknown historical texts by Aristotle or Cicero. Digitisation will aid this because more scholars will be able to access the library's resources. The first digitisation plans were announced in 2012, and involved a million and a half pages of material, collaboration with the UK's Bodleian Library, and a grant of £2 million from the Polonsky Foundation in London. Now it's up to 40 million pages in the first 3-year phase of a 9-year project. A manuscript or books could have up to 500 pages, with each page needing 150MB of storage. Altogether, according to a spokesperson in an EMC video about the project, 45PB of storage will be needed. This first phase of the project lasts three years and involves 40 million pages. EMC Italy is sponsoring this phase as part of an Information Heritage Initiative. It's contributing 2.8PB of Atmos, Isilon, and VNX storage arrays, Networker backup software and DataDomain deduplicating backup storage, and working with its Italian partner DEDAGROUP ICT Network. Gianni Camisa, the group's managing director, provided a quote for EMC's release which perhaps suffered from translation issues; "This is a highly complex project of immense cultural value. We are pleased to offer our expertise around dematerialisation to a complex project of such historical significance." 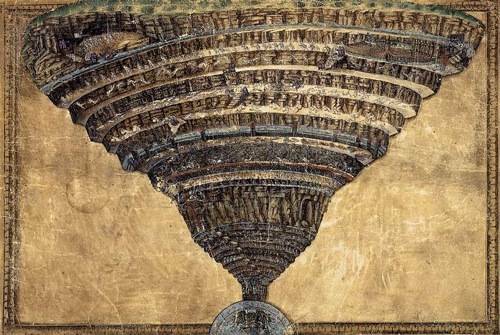 Digitisation might be a better translation of the Italian word that gave rise to dematerialisation. The Amos storage will be used for long term conservation with the Isilon arrays used for items needing fast access. Documents will be stored in an ISO-certifiable digital format to ensure, EMC says, future availability.